Sunday brunch can be one of the highlights of the weekend. Keep it simple by making it ahead, and then sit back and enjoy a relaxing Sunday with your friends and family. Make your Sunday brunch special by preparing these three yummy make-ahead brunch favourites. Then, simply add a fruit salad, fresh orange juice, coffee and tea and you have all the makings of a great midday meal! 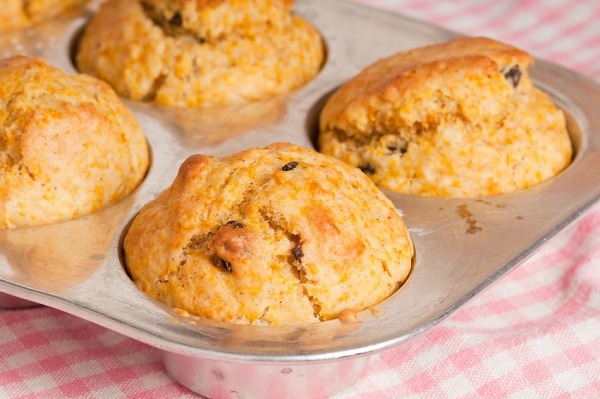 Lightly grease muffin tins or line with baking cups; set aside. In a medium mixing bowl, combine the flour, sugar, salt, baking powder and dill together. In a separate bowl, mix the yogurt, egg, milk and butter. Gently stir the yogurt mixture into the dry mixture. Add the cheese. Divide the muffin mix evenly among the cups. Bake for approximately 25 minutes or until an inserted toothpick comes out clean. Store overnight or freeze and reheat as desired. Add the chopped onions and saute until tender. Combine all the ingredients, including the cooked onions, in a large mixing bowl. Transfer the mixture to a large oven-proof casserole dish. Freeze or store in the fridge overnight. When ready to serve, heat oven to 350 degrees F and bake until thoroughly heated and bubbling, approximately 1 to 1-1/2 hours. Pre-cook the pie crust according to the package instructions. Then reset oven to 350 degrees F.
In a medium mixing bowl beat together the milk, flour, eggs and pepper. Spread half of the grated Swiss on the pre-cooked pie crust. Layer the spinach, mushrooms and ham on top. Pour in the egg mixture and top with the remaining cheese. Bake for approximately 50 minutes or until the top is browned. Remove from oven, cool, then refrigerate overnight or freeze. To reheat, thaw, then warm in a 250 degree F oven for 20 minutes or until reheated through.